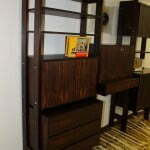 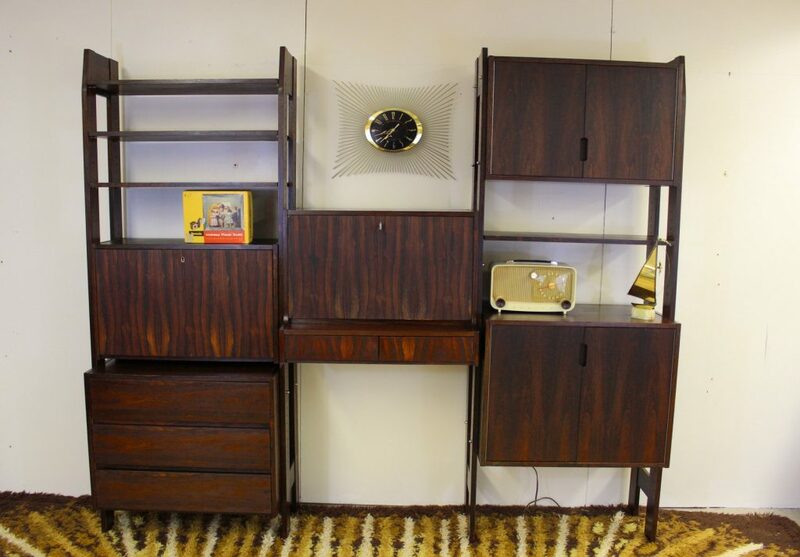 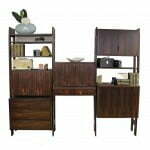 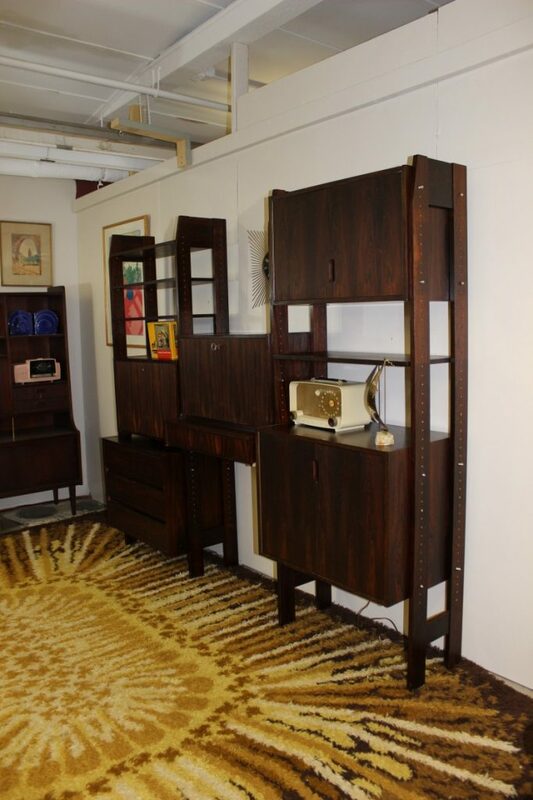 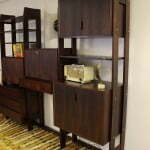 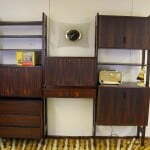 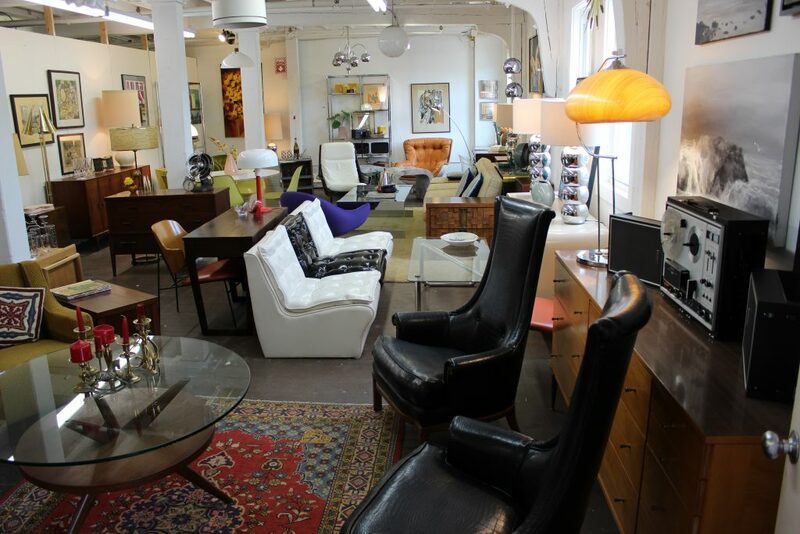 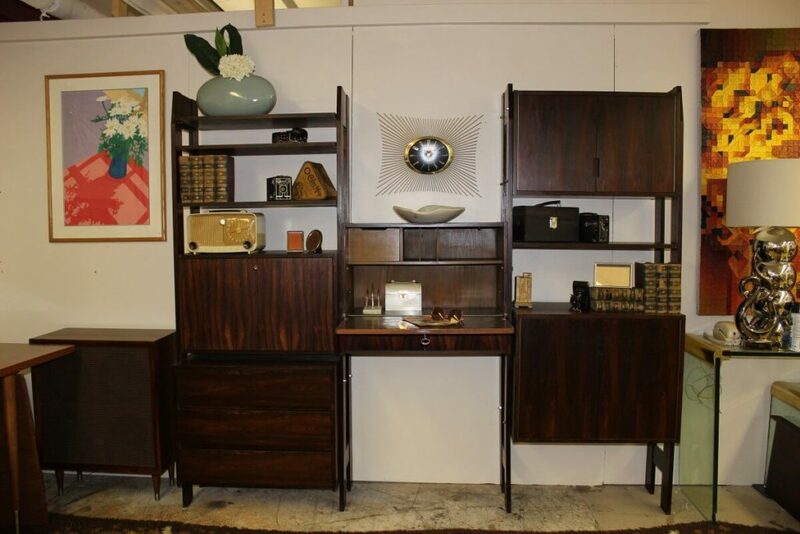 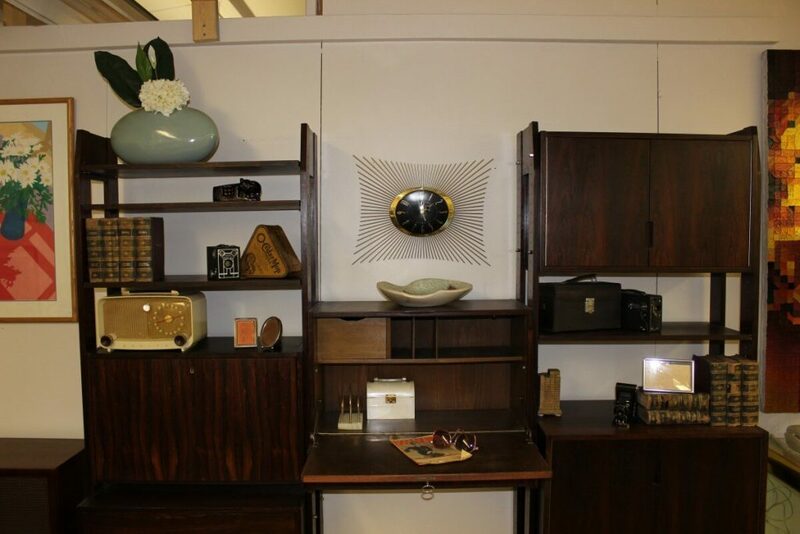 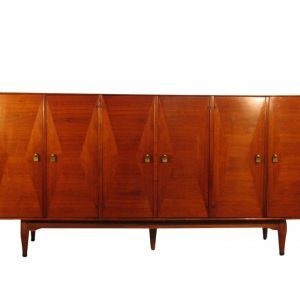 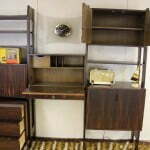 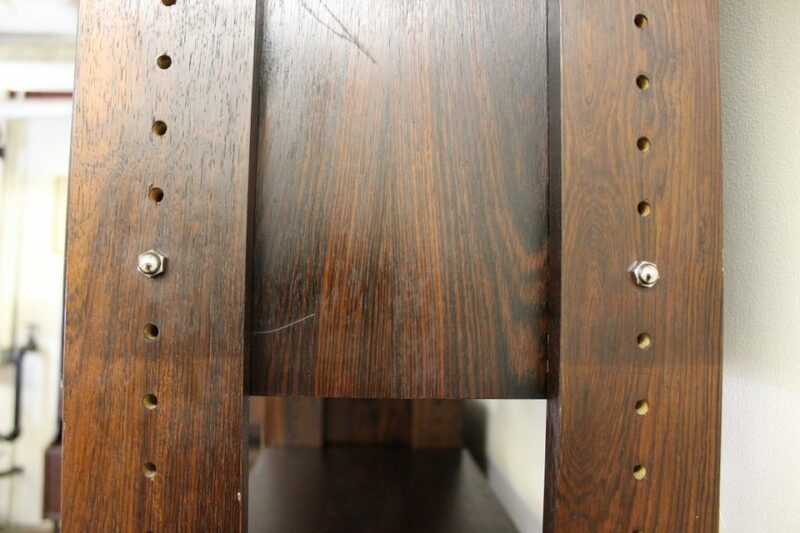 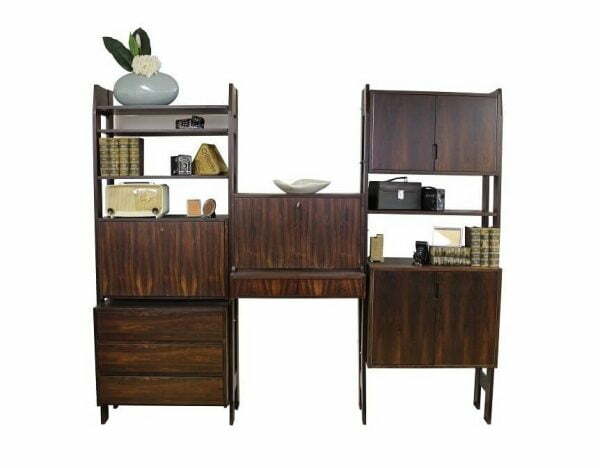 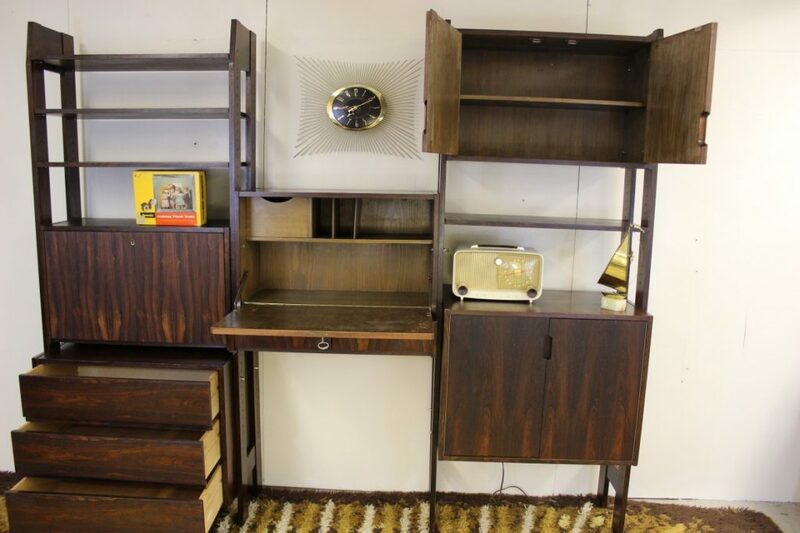 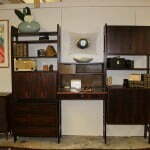 Amazing super cute Danish wall unit! 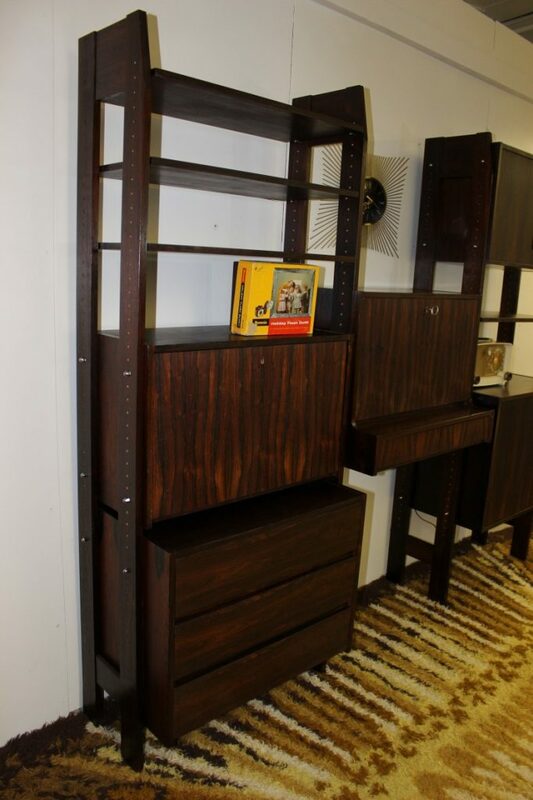 Judging by the design I would think that either Poul Cadovius or George Nelson designed it. 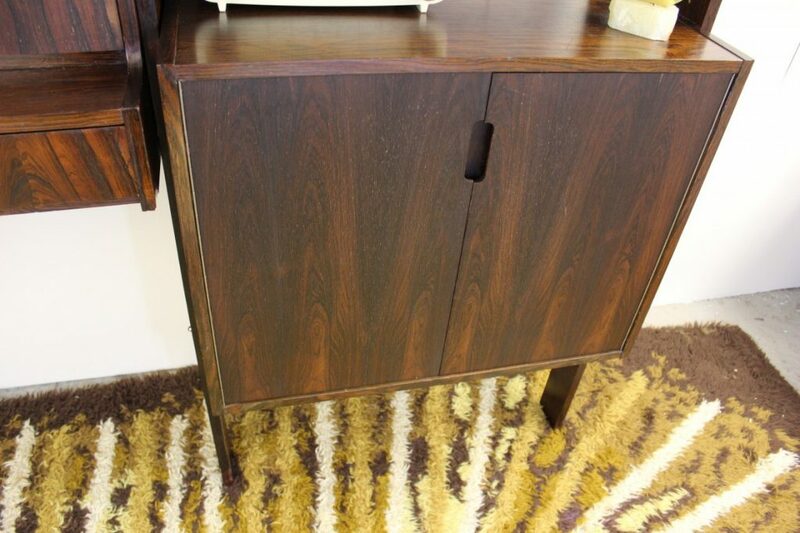 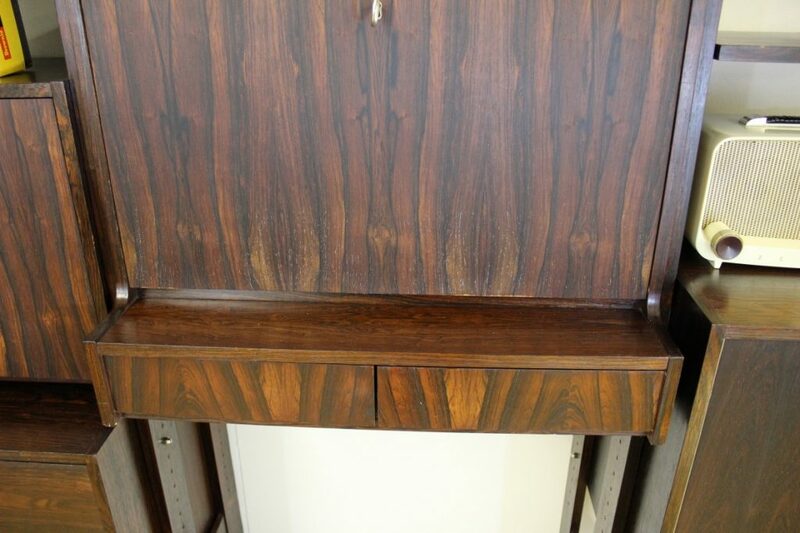 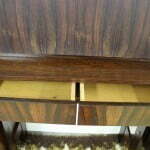 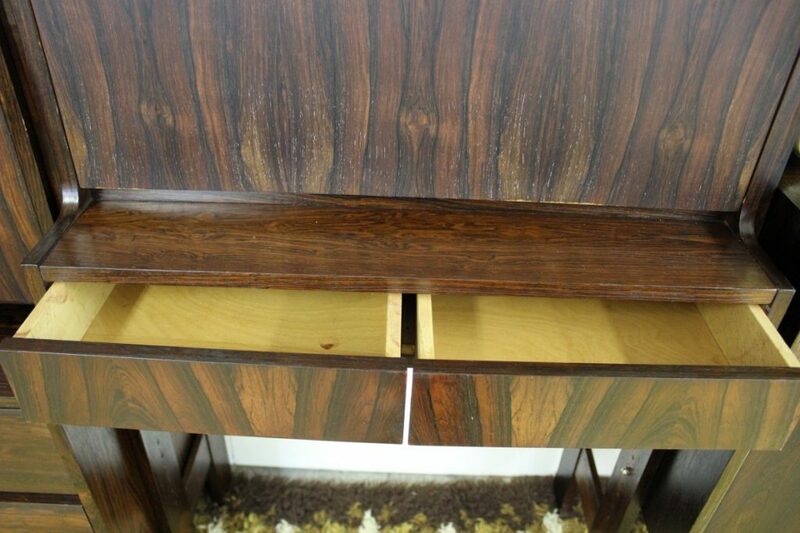 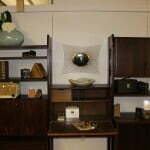 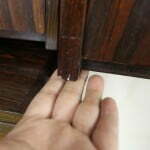 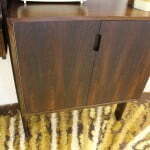 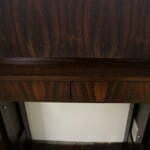 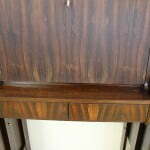 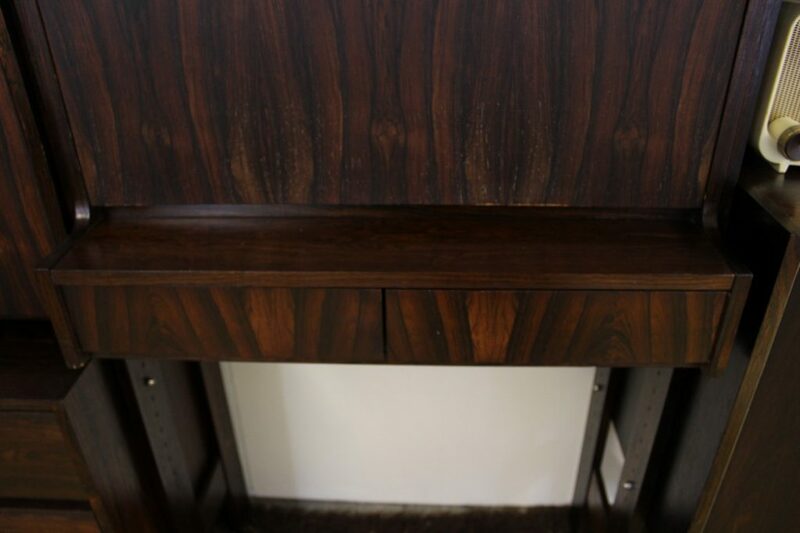 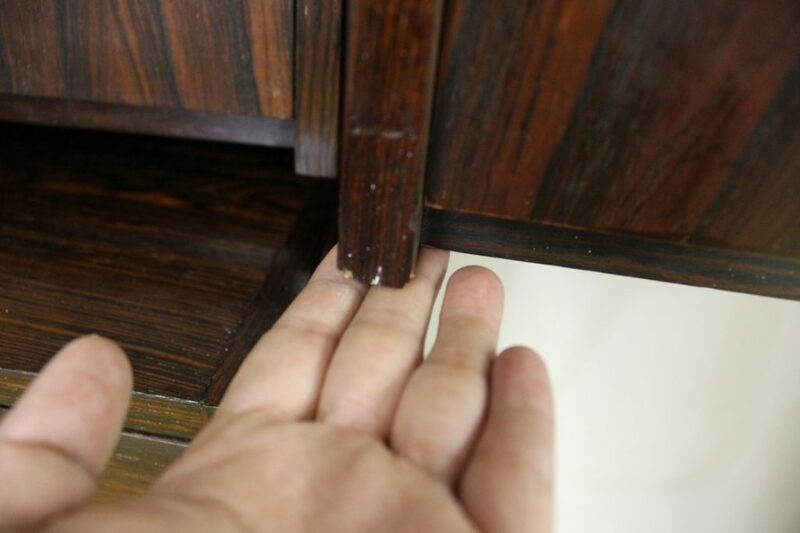 It has 1 cabinet with 3 drawers 27”x 16”x 21”, 1 cabinet that was used as a bar 27”x 16”x 12 1/2″. 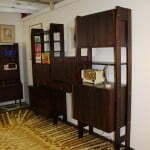 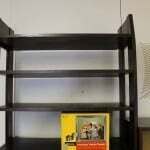 1 small cabinet 27”x 12”x 17”, 1 desk cabinet 27”x 16” x 21” that includes 2 small drawers. 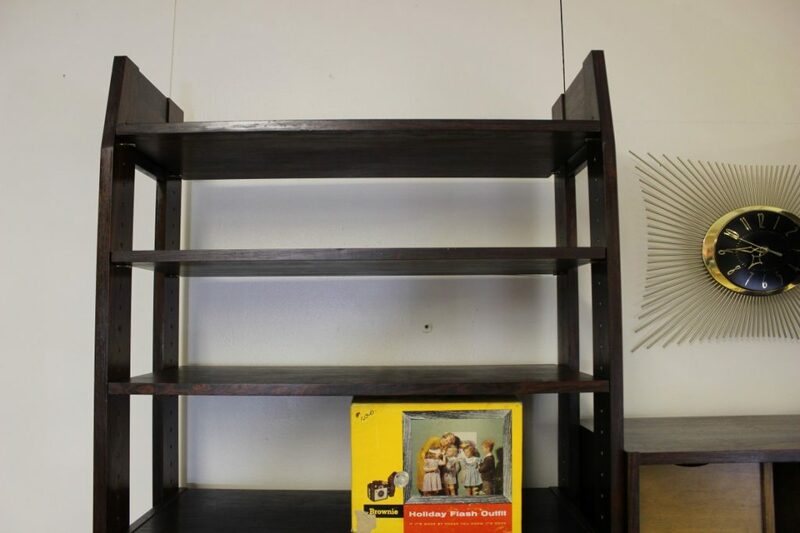 There are 4 shelves 27”w x 12”. 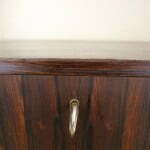 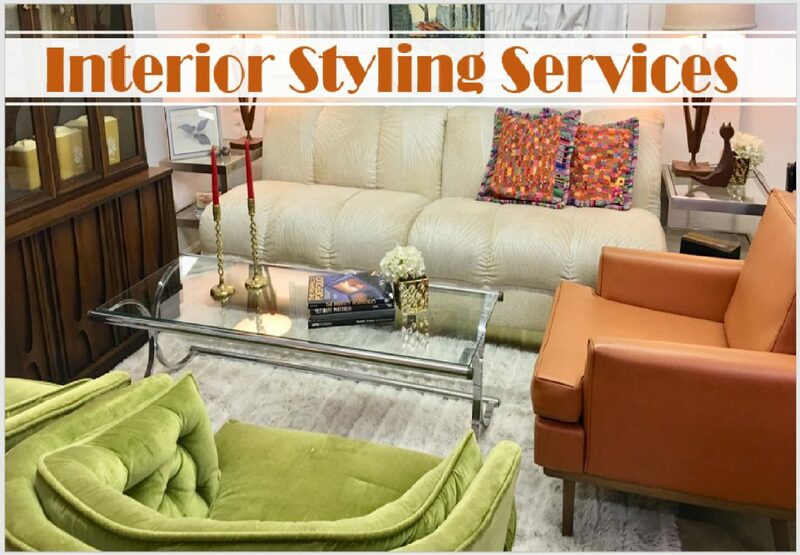 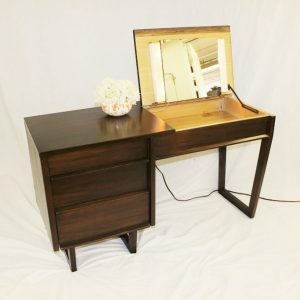 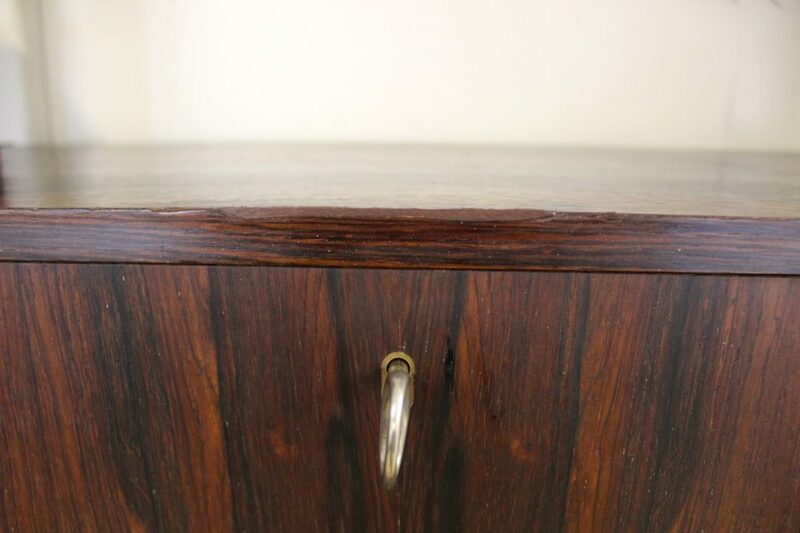 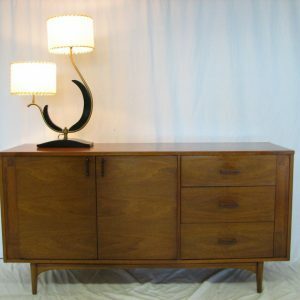 It has repaired areas, scratches, and nicks but as you can see it is a beautiful piece to display and use in your home. 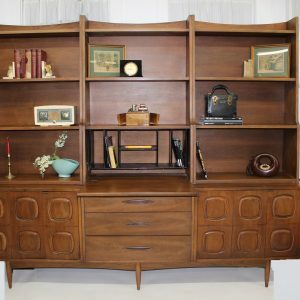 It is completely functional and still gorgeous! 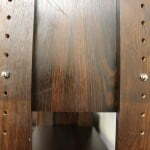 As shown in the pictures it is 84 1/2″ long and 72″tall. 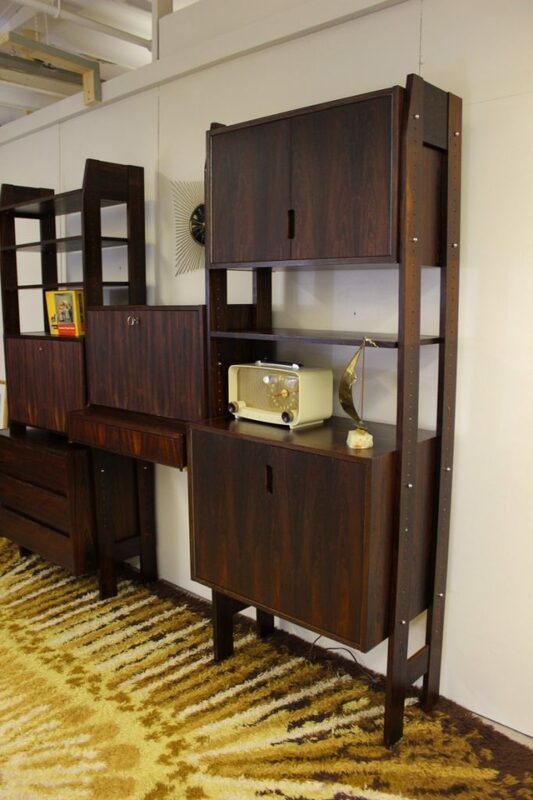 The shown design is just how I decided to do it because it fits my wall but you can play with the placement of the cabinets and shelves and come up with a totally different design.